The European Parliament has submitted a proposal to the Committee on Foreign Affairs, suggesting that the number of EU military groups be quadrupled: from 18 battle groups to 18 brigades. 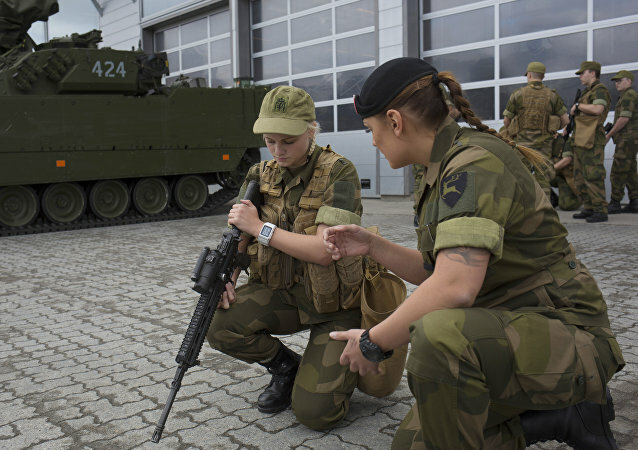 The Independent Barents Observer reported Friday that Norway would reinforce its northernmost region of Finnmark, which borders Russia's Kola peninsula, with an additional cavalry battalion within its long-term plan to brisk up the military. 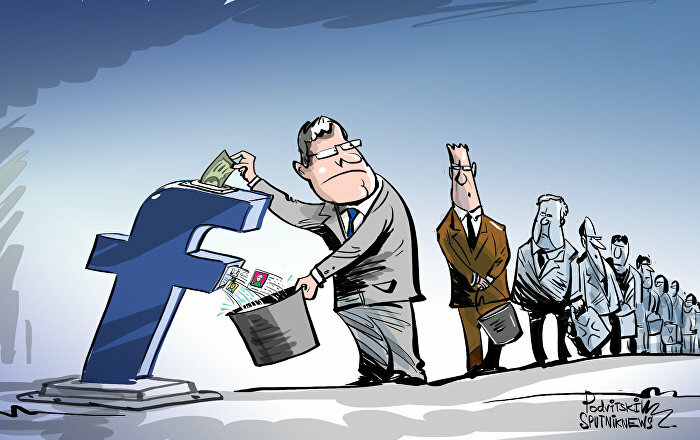 Focus readers criticized German leadership and the North Atlantic Alliance for sending German military equipment, including the Leopard 2 main battle tanks, Marder infantry fighting vehicles and Pionierpanzer 2 Dachs armored engineering vehicles to Lithuania as part of NATO's plan ostensibly aimed at "deterring Russia." The Czech Republic's Defense Minister Martin Stropnicky has announced that Prague aims to join the NATO multinational battalions in the Baltics, in order to enhance the eastern flank of the bloc. The United States will advise on training up to four battalions in Ukraine throughout 2017, 7th Army Training Command spokesperson Lacey Justinger told Sputnik. The United Kingdom will send 800 soldiers to Estonia, as it promised at the NATO July summit, UK Defense Secretary Michael Fallon said Wednesday. The infrastructure that the NATO battalion deployed in Lithuania in 2017 will use is projected to cost 5.8 million euros (roughly $6.1 million), the Ministry of National Defense of Lithuania said Monday. 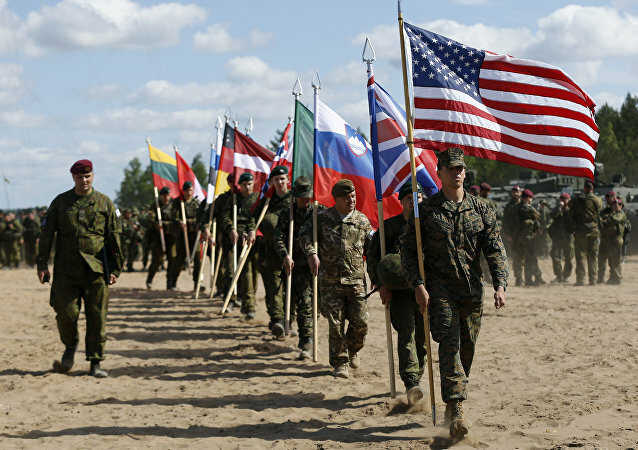 NATO Secretary General said that North Atlantic Treaty Organization framework countries of the United States, the United Kingdom, Germany and Canada will set out plans for the four battalions in the Baltics and Eastern Europe. 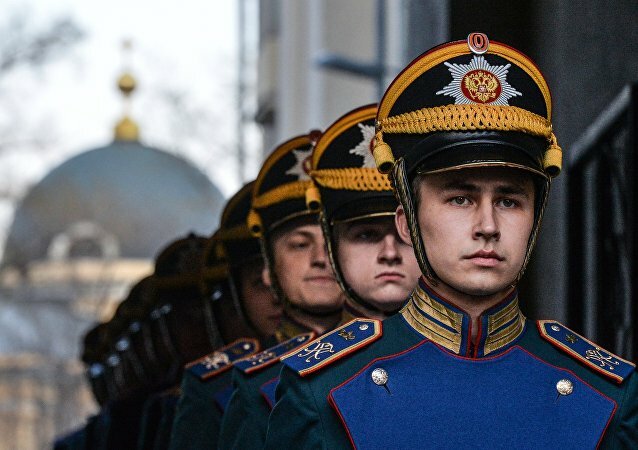 In the Presidential Regiment, which celebrated its 80th anniversary this year, officers and soldiers are called the “face of the country and the army,” since they are on duty at the Kremlin walls and ensure the safety of Russian state leaders. Not every member of the North Atlantic Alliance wants the bloc to be tough on Russia. NATO should start "building bridges" on its eastern flank and work together with Moscow to tackle global terrorism, Italian Defense Minister Roberta Pinotti urged ahead of NATO's landmark summit in Warsaw that will approve several anti-Russian measures. 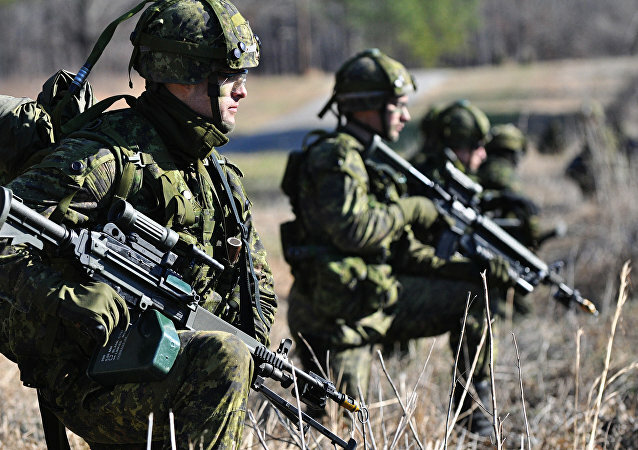 Canada's decision to establish and lead one of NATO's four framework battalions that will be deployed close to Eastern Europe and the Baltic region to intimidate Russia will have no impact on Moscow and Ottawa's shared desire to improve bilateral relations, analyst Pavel Zolotarev told the Vzglyad newspaper. The planned deployment of four NATO battalions on Russia’s borders is the foundation for continuous pressure on its frontiers as it may easily grow into a larger contingent; and the fact that these are the troops of the alliance and not of a bordering country underscores that Russia is being specifically targeted, says a Russian military expert. 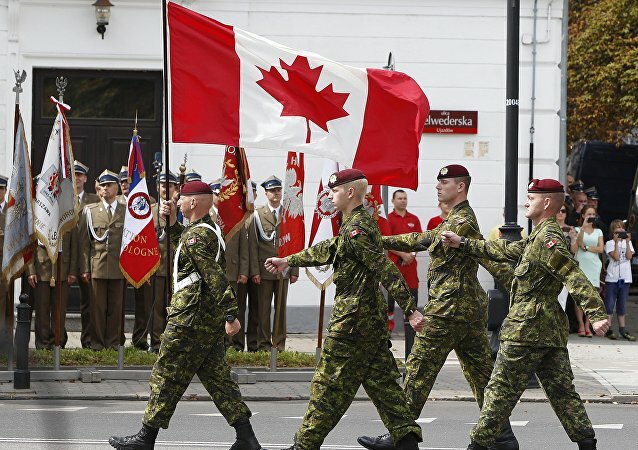 Canada has severe doubts over the US push to send a battalion to Europe as part of an effort to protect Eastern European allies from the so called “Russian aggression”: on the one hand it finds it hard to say no to its neighbor, on the other, the move will certainly further complicate its relations with Russia, which it wants to improve. 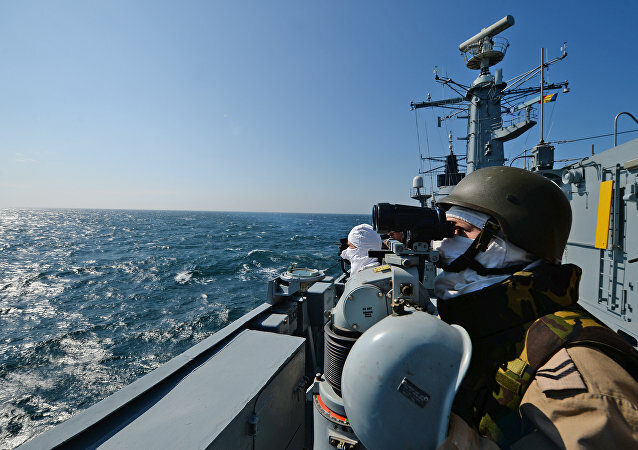 The North Atlantic Alliance is busy getting ready for its upcoming summit in Warsaw that will formalize specific steps aimed at strengthening the bloc's military capabilities on its eastern flank, from the Baltics to the Black Sea. But instead of "projecting stability," as the alliance calls it, NATO is in fact looking for trouble, experts say. 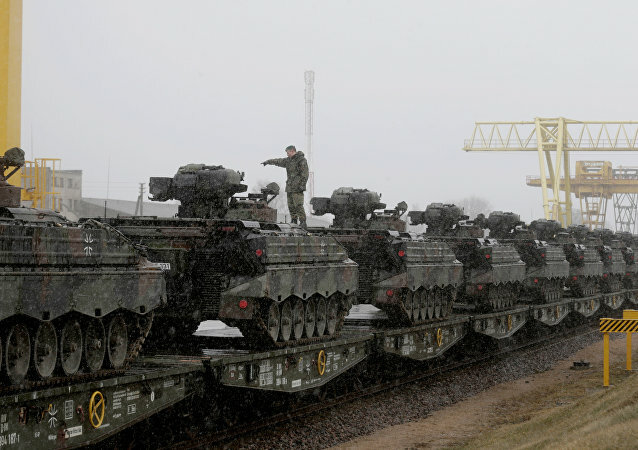 The US informed its NATO allies it would send less troops to Eastern Europe for deterring “Russian aggression” than initially planned, undisclosed military sources revealed to the Wall Street Journal. 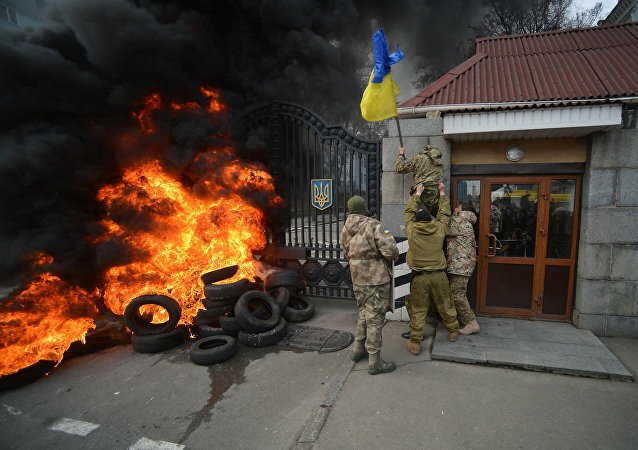 On Sunday, nationalist activists in Kiev attacked the Russian Embassy twice in the course of 24 hours, first smashing up diplomatic vehicles with sledgehammers and throwing smoke bombs in the dead of the night, and then pelting the Embassy with green dye, eggs and rocks in the daytime. Sputnik offers a timeline of events. Ordinary citizens of Syria are combatting Daesh terrorists who have been waging war in the country for the last five years. The citizens have taken up arms to defend their country and drive terrorists away. 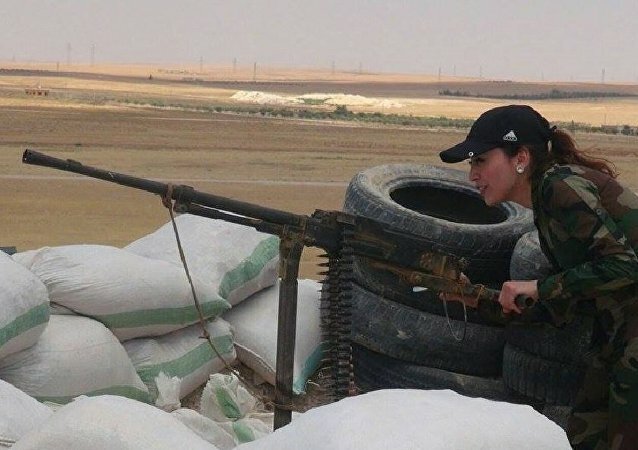 Syrian women are actively joining battalions and fighting side by side with men. Residents of the southern Ukrainian region of Kherson are forming self-defense forces composed of war veterans and hunters to defend against marauding criminal elements who have instilled terror in the local population by a campaign of robberies, assaults and violence, local media reports. The leaders of Lithuania, Latvia, Estonia, Bulgaria, Hungary, Romania, Poland and Slovakia have called for an increased NATO presence in Eastern Europe and the Baltic, in addition to the extra capacity already announced.